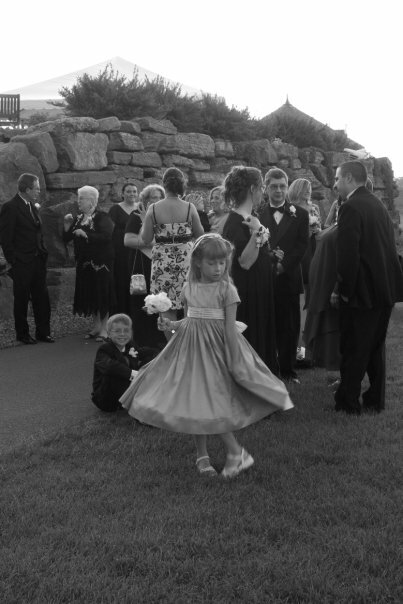 This dress was made from the Pascal/Alice Blue Gown pattern from Sew Beautiful (second cover down on that page), but without the smocking. 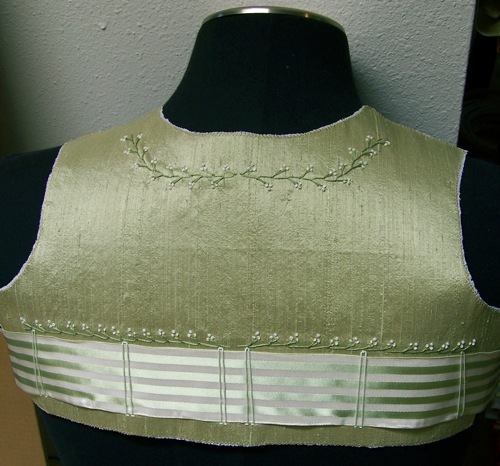 It was my intention to smock the bodice, but then I realized what a pain hand-pleating the fabric really is and decided to embroider it instead. 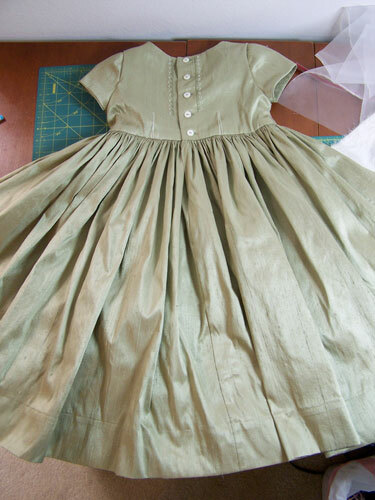 The fabric is silk dupioni, in a sage green color. It looks alternately gray or gold depending on the light and presence of a flash, but outside in the sunshine is definitely green. 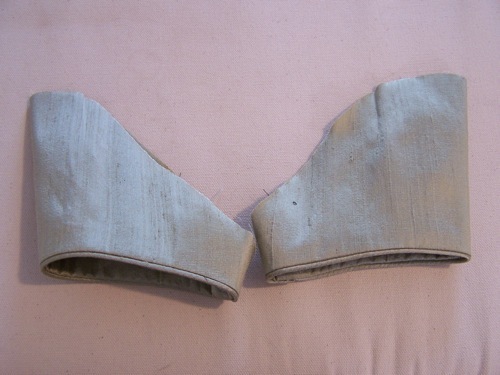 And here is the back of the gown, folded in half — the amount of skirt you can see is only a quarter of the fullness. 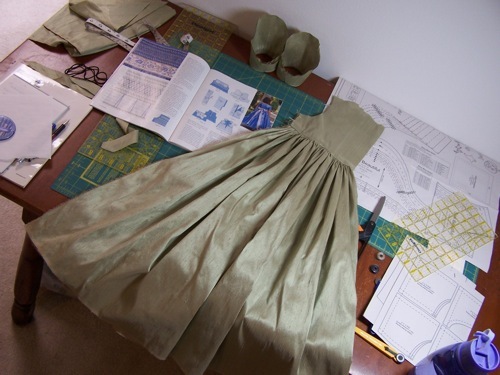 You can vaguely see a picture of the back of the original dress in the magazine on the table. 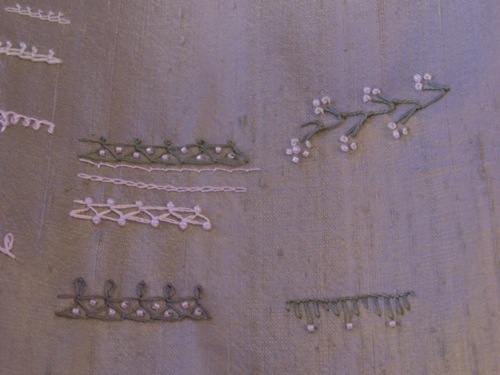 There will be embroidery on the back bodice as well. 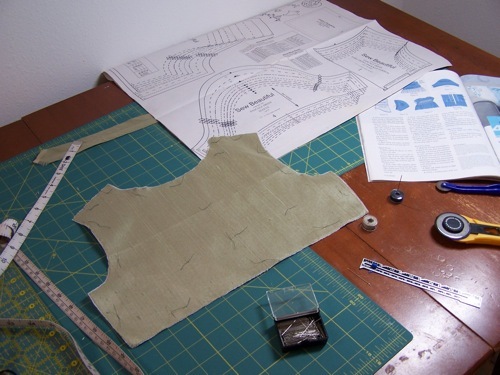 More on that process as it progresses this week. 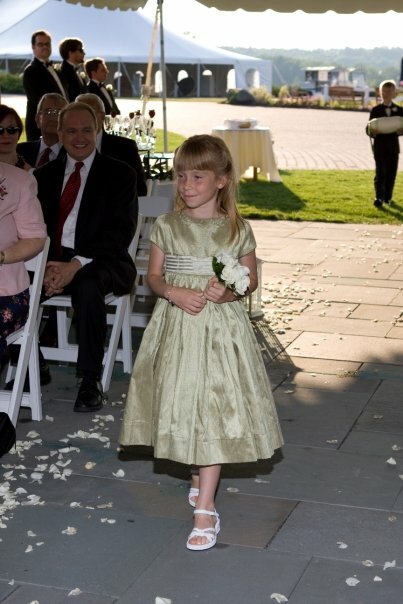 and decided that the feathered buttonhole “vine” with french knots and pearl beads was the prettiest for a flower girl. The other bands are just too dense, particularly with the ribbon that will be used as a sash on the dress, though I’ll remember them for other projects. 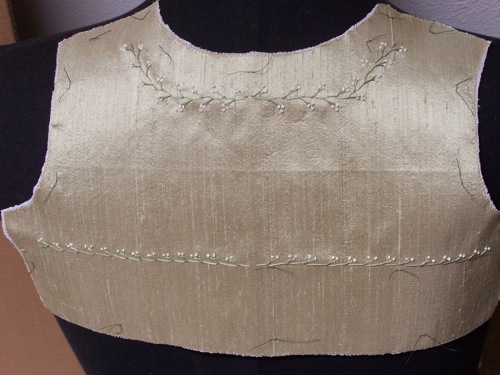 And here is the bodice almost completely embroidered — it just needs the pearl beads on the bottom line. 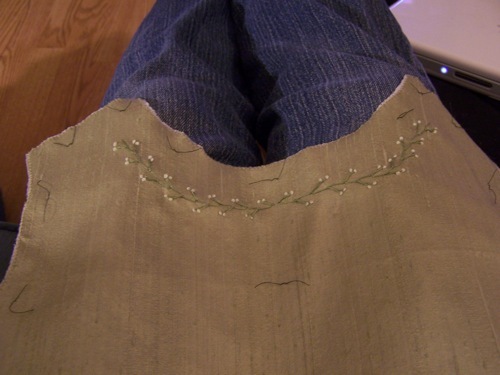 The sash will go below that, which is a one-sided feathered buttonhole stitch. 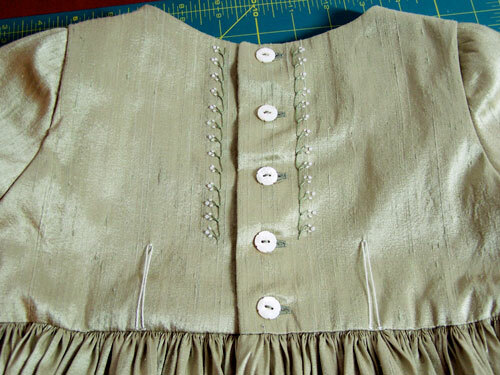 I’ll use the same pattern on the back, on either side of the button placket. My hands are hurting this morning, from keeping the stitches so uniform and tying all of those knots. When I was younger, doing cross-stitch kits, I just couldn’t figure out how to do french knots, but now I really like them. 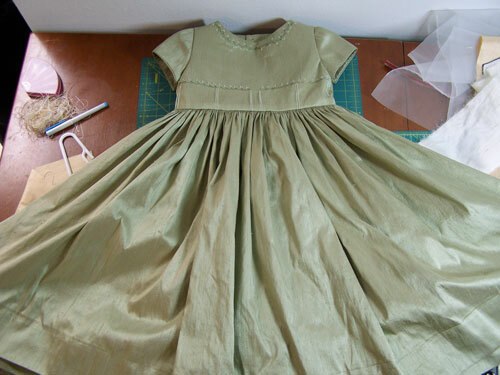 I like the way this is turning out; I think it’s better this way than it would have been smocked.